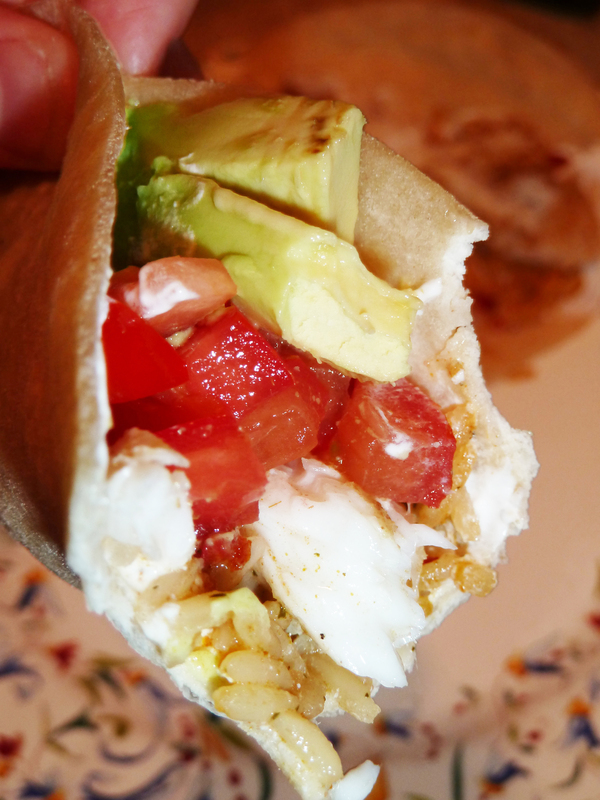 fish tacos | Is there any wine left? Houston is the land of fish tacos. I had never even heard of a fish taco until I visited here with Whit in college. 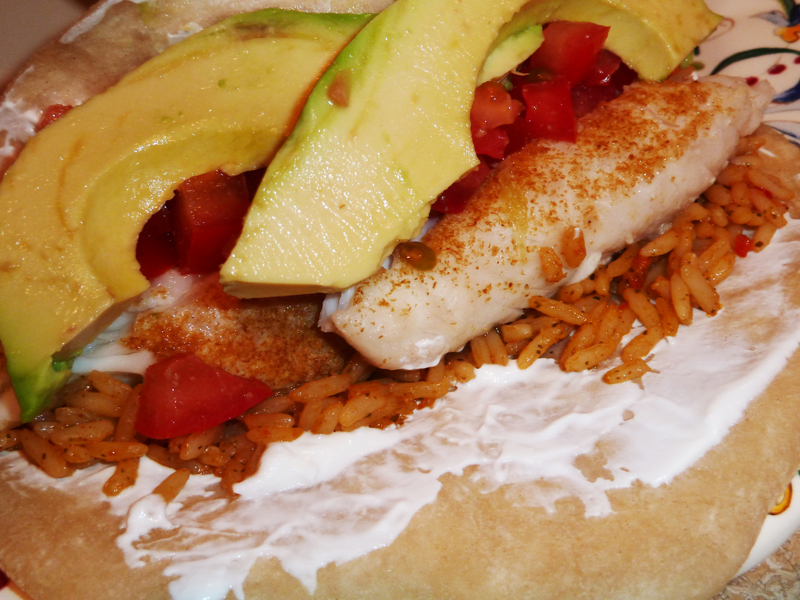 We have lots of fish in Louisiana but no one ever puts them in a tortilla. In Houston, on the other hand, they’re on the menu at every Mexican restaurant. Can someone please explain this to me? We really like the fried fish tacos at Berryhill — they tempura fry the fish (I think it is cod) and top it with cabbage and a dressing that reminds me of a Mexican version of Thousand Island Dressing. Really, really delicious, but this baked version is much easier to make at home. And also delicious! 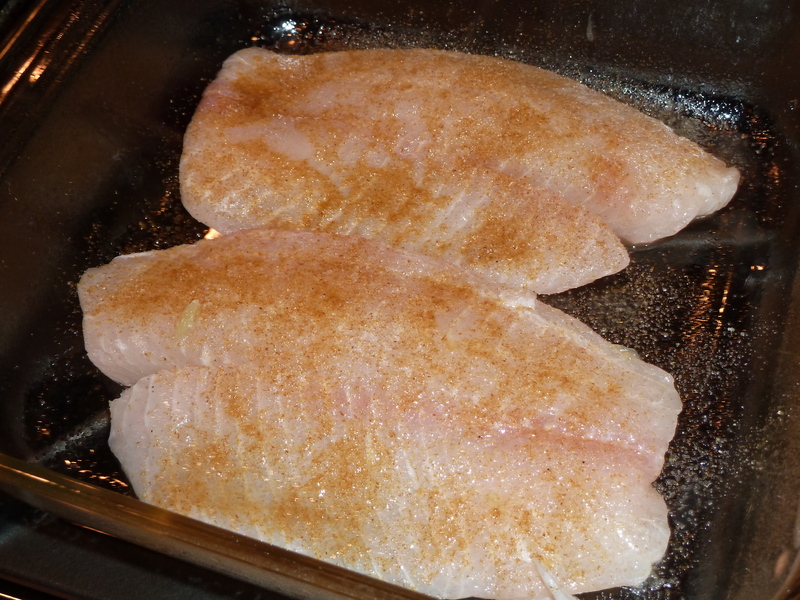 Start by placing the tilapia filets in a glass baking dish (8″ x 8″) and sprinkle cumin and garlic salt on them. Squeeze the lime over the seasoned fish. Bake at 350 degrees F for 20 minutes. Cut the fish into long slices for the tacos. And sour cream, fresh salsa, and sliced avocados. I hope yall will try this soon! It is a really easy weeknight dinner — from start to finish it only takes about 25 minutes. And you get all of your food groups folded right into one taco! 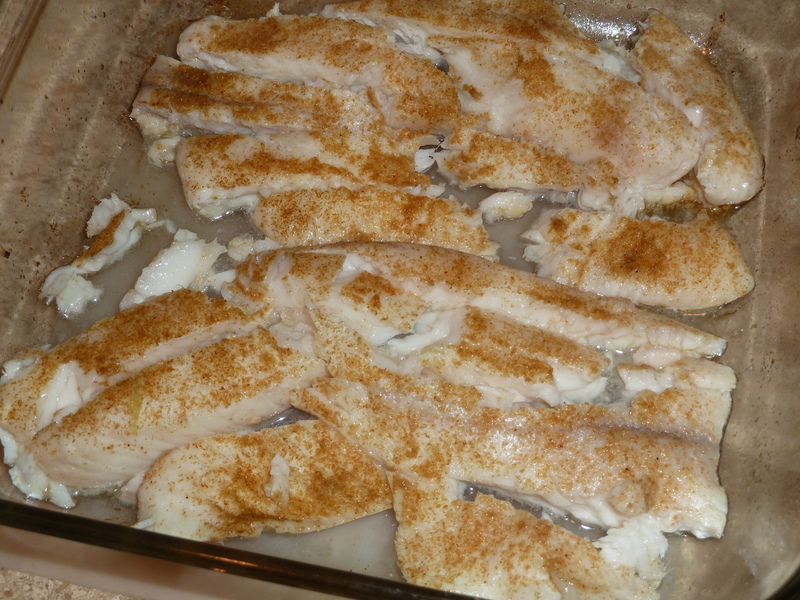 Place the tilapia filets in a glass baking dish (8″ x 8″) and sprinkle cumin and garlic salt on them. Squeeze the lime over the seasoned fish. Bake at 350 degrees F for 20 minutes. 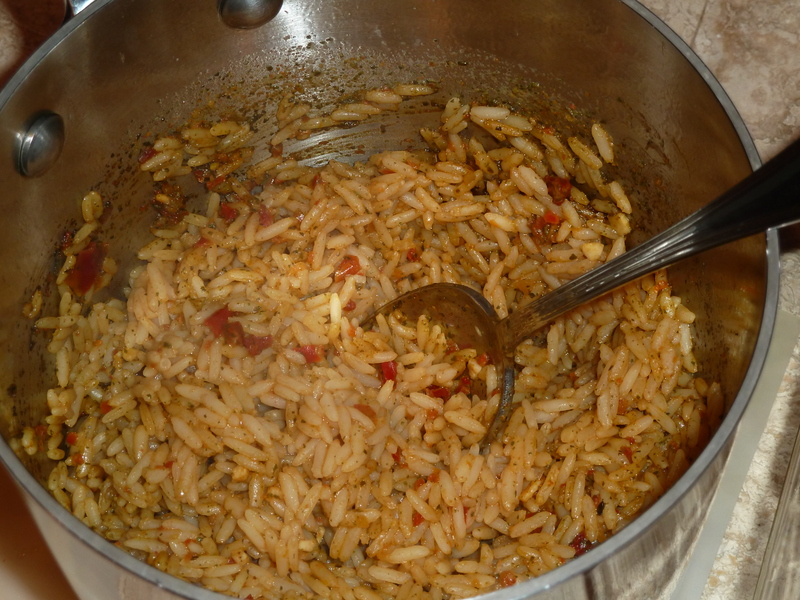 Prepare the Mexican rice. 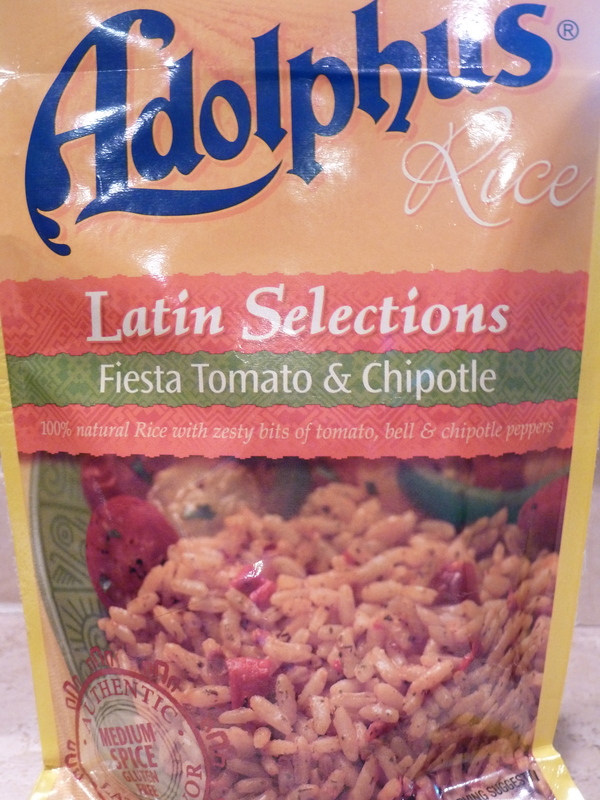 You could make it from scratch but I like the Adolphus brand because it is so easy and tastes homemade. When the fish and rice have finished cooking, assemble the tacos. 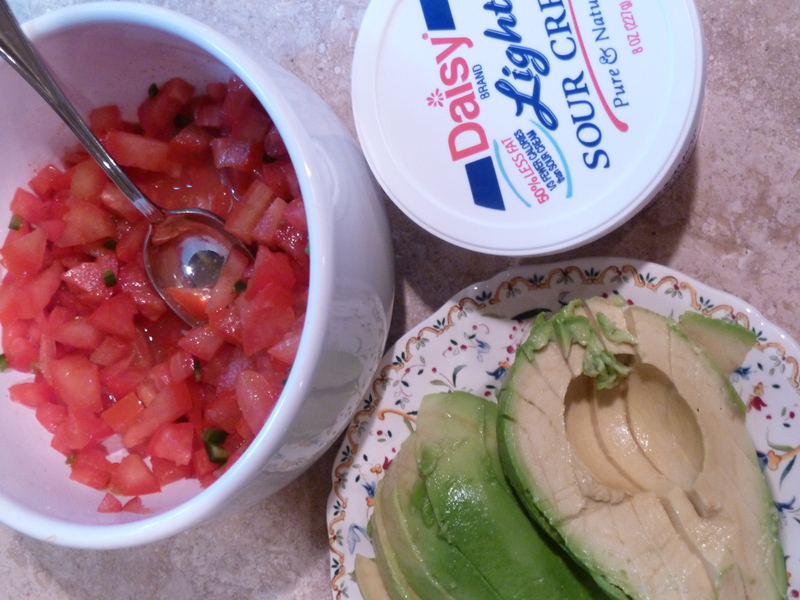 Our favorite condiments are sour cream, avocados and fresh salsa. We also add the rice to the tacos instead of eating it on the side.